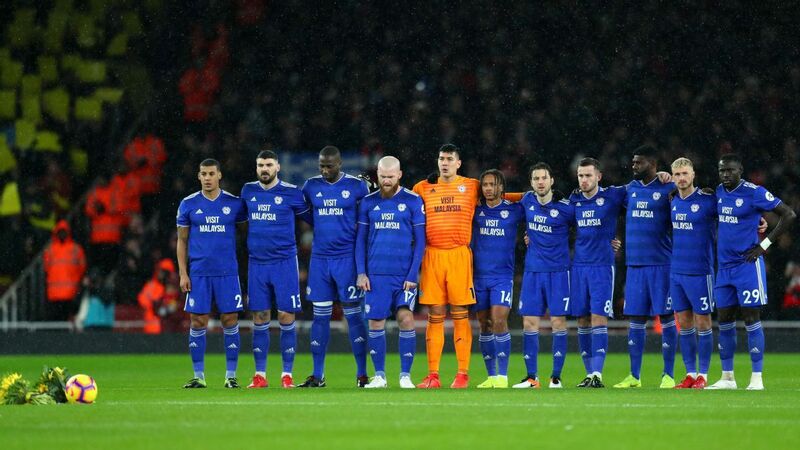 Cardiff City and Arsenal paid tribute to Argentine forward Emiliano Sala, whose plane went missing on the way from France to Wales on Jan. 22, ahead of their match at the Emirates Stadium on Tuesday. Sala, Cardiff City’s £18 million signing from Nantes, went missing when the plane he was travelling in disappeared over the English Channel, with rescuers ending their search for the forward and pilot David Ibbotson three days later. Ahead of the match, yellow cards were placed on all of the seats at the Emirates, there was a floral tribute at the center of the pitch from players on both teams, while Sala’s name was included in the matchday programme with a daffodil in the column where his number would have been. The Premier League also announced there would be a moment of silence at all matches this week as a mark of respect for Sala and Ibbotson. The search for any wreckage or remains continued over the weekend after Paris-based football agency Sport Cover, for whom Sala is a client, set up a GoFundMe page to raise money to keep the rescue efforts going.